UBC Midwifery was very pleased with the positive response, stimulating conversations and cutting edge research presented by second annual Elaine Carty Visiting Scholar, Dr. Eileen Hutton. It was a memorable week for students, midwives, health professionals and members of the public. Eileen Hutton, B.Sc., MScN, Cert. in Midwifery, PhD, is the second annual Elaine Carty Visiting Scholar. “Eileen Hutton is one of the pre-eminent midwifery researchers in Canada, having conducted research around some really important questions for women and maternity care providers over the last 20 years. She has also been an important visionary in the development of midwifery education, an important facet of the establishment and development of regulated midwifery practice in Canada. As a researcher, educator and national leader, Eileen has inspired many, both nationally and internationally. Eileen has a long association with BC and our UBC program and was a member of faculty before moving to McMaster. We are delighted to welcome her back to BC and we look forward to some lively discussion and debate over the course of her visit” – Dr. Michelle Butler, Director, UBC Midwifery Program. Eileen Hutton, RM, PhD, is Assistant Dean in the Faculty of Health Sciences and Director of Midwifery at McMaster University in Hamilton, Ontario where she is a Professor in the Department of Obstetrics and Gynaecology. Dr. Hutton also held a part time endowed chair position from 2010-15 as Professor of Midwifery Science at Vrije University in Amsterdam, the Netherlands. Dr. Hutton is a graduate of The University of Toronto, School of Nursing (MScN) and Institute of Medical Science – Clinical Epidemiology (PhD). She received her Certificate in Midwifery from Michener Institute of Applied Health Sciences. Her undergraduate degree is from Queen’s University School of Nursing (BNSc ). Dr. Hutton held a Canadian Institutes of Health Research (CIHR) New Investigator Award (2004-2009) and was a recipient of a Michael Smith Foundation for Health Research Scholar award. She has held numerous CIHR funded grants both as Principal Investigator and as Co-investigator. She has expertise in clinical trial methodology, systematic review and meta-analysis, clinical epidemiology, and implementing evidence-based practice. Specifically, she is interested in clinical trials with a focus on normal childbirth. Dr. Hutton has a member of the Canadian Institutes of Health Research (CIHR) Clinical Trials Committee, the Fellowship Awards Committee, and is currently on the Clinical Investigations (A) Review Committee. 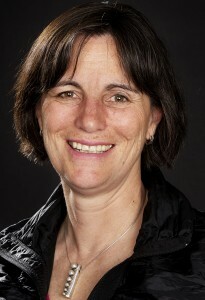 She has published widely in international peer-reviewed journals on a variety of topics relevant to midwifery and obstetrics including twin birth, external cephalic version, late and early clamping of the umbilical cord in term neonates, vaginal birth after caesarean section, sterile water injections for labour pain relief and home birth. She was the founding editor of The Canadian Journal of Midwifery Research and Practice, and is on the editorial board of the Journal of Obstetrics and Gynaecology Canada and the ICM Midwifery Journal. She is member of the Advances in Labour and Risk Management (ALARM) International committee of the Society of Obstetricians and Gynaecologists of Canada (SOGC). She was awarded the inaugural Lifetime Achievement Award by the Association of Ontario Midwives. Childbirth under the microscope: what we learn when midwives ask the research questions. “Midwifery focuses on the normal life event that bridges both maternal experiences of pregnancy and birth, as well as supporting the mother infant dyad in the first weeks of life. As a result, questions asked from a midwifery perspective are often unique. Because much of the human life experience is determined during this critical timeframe, midwifery research has the potential to answer questions of great significance. In many respects midwives have always contributed to our knowledge of maternal child wellbeing – and in that regard I am proud to further the tradition.” – Professor Eileen K. Hutton.